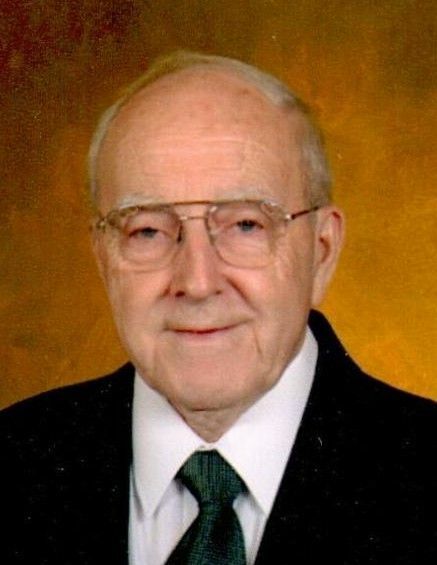 Anthony E. “Tony” Zittel, age 89, of Winona, passed away on Saturday, December 1, 2018, at St. Anne Extended Healthcare, following a long illness. He was born on July 13, 1929, in Alma, WI, to Alfred and Alice (Feeney) Zittel, Sr., and graduated from the Alma High School in 1947. He enlisted with the United States Air Force in 1948, and was honorably discharged with the rank of Staff Sergeant in 1952, after serving four years in the Korean War. Tony was united in marriage with Marjorie Gueltzow, and together they had six children. Tony was an active member of the Cathedral of the Sacred Heart where he ushered for 35 years; helped with bingo and money counting; participated in Eucharistic Adoration from its inception; and he was humbled and pleased to be awarded the Bishop’s Medal. Tony was also an honorary life member of the 3rd and 4th Degrees of the Knights of Columbus, where he had previously served as the Faithful Navigator, and he was a member of the American Legion for 47 years. After retiring from Bay State Milling, Tony worked for the Winona Daily News, and was active as a volunteer for home delivered meals, as an election judge, and he also drove cars for various local dealerships. He and Marge loved to travel, and they were able to visit all but two states in the United States. He will be remembered for his love of his dog, Sassy, and his grandchildren and great-grandchildren were the apple of his eye. Tony is lovingly survived by his wife, Marge; children: Rebecca (Jerome) Workman; Bradley (Rebecca) Zittel; Larry Zittel; Laurel Lewis; Terrence (Nancy) Zittel; and Janine (Kim) Troke; 17 grandchildren: Cristina (Brian) Runkles; Stephannie (Nelo) Ribeiro; Daniel (Jessica) Workman; Sara Workman; Michael (Daniela) Workman; Eric (Heather) Zittel; Joe (Annette) Zittel; Nicole (Paul) Tatkenhorst; Jeremy Zittel; Michael Qureshi; Jessica Crothers; Kyle (Nicole) Festler; Forrest Zittel; Foster Zittel; Kenneth (Lynda) Troke; Leah (Rick) Dold; and Anthony (Ashley) Troke; 24 great-grandchildren with three on-the-way: Bryson and Ridgely Runkles; Alexandra, Jake, and Jordan Ribeiro; Elijah Workman; Elliott, Mejia, Maurissa, Ethan, and Zacory Zittel; Owen and KayLee Festler; Audrey, Alexandra, and Jackson Zittel; Jacob, Ryan, and Noah Tatkenhorst; Brianna Zittel; Wesley, Marshal, Camden, and Adelynn Troke; and Sophia and Finley Troke; a daughter-in-law: Diane (Murray) Cody; sister-in-law: Marvilla Baecker-Zittel; as well as nieces, nephews, other relatives and friends. He was preceded in death by his parents, and all of his siblings: Velma (Ray) Scharr; Elton (Marie) Zittel; Wilbur Zittel; Marjorie (Kenneth) Clementson; Isabel Stuber; Alfred Zittel, Jr.; Jeanne (Cliff) Larson; David (Shirley) Zittel; and Betty in infancy. Visitation will be held from 11 AM until the Mass of Christian Burial at 12 Noon on Saturday, December 8, 2018, at the Cathedral of the Sacred Heart. The Very Reverend Mark C. McNea will officiate. Tony will be laid to rest in St. Mary’s Cemetery where the American Legion Leon J. Wetzel Post 9 of Winona will provide military honors. Pallbearers and Honorary Pallbearers will be: Kenneth Troke, Anthony Troke, Forrest Zittel, Foster Zittel, Wesley Troke, Marshal Troke, Rick Dold; Cristina Runkles, Sara Workman, Leah Dold, Lynda Troke, Ashley Troke, Camden Troke, Adelynn Troke, Sophia Troke, and Finley Troke. Tony’s family would like to thank the staff on 2nd Floor at St. Anne’s for the wonderful care he received, and to Winona Health Hospice, for making dad so comfortable on his journey home. Online condolences or memories may be left for Tony’s family at www.watkowski-mulyck.com.